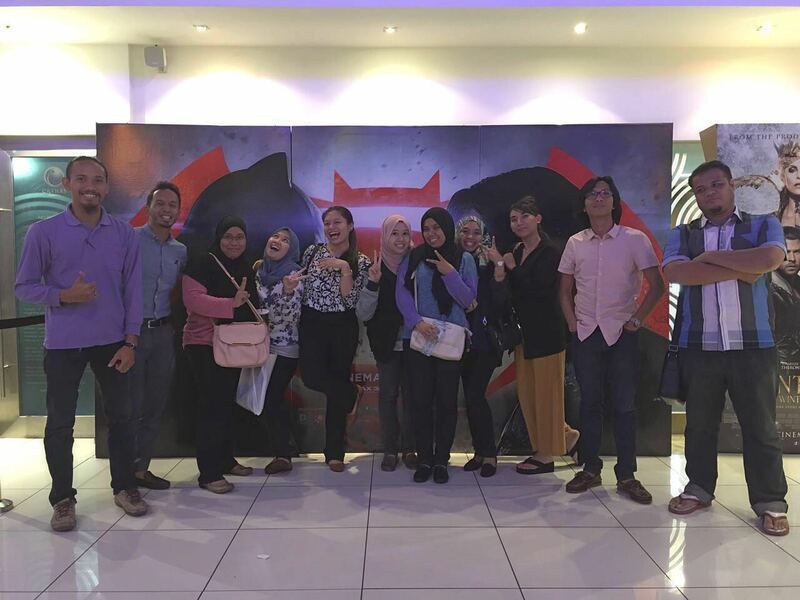 Recently, NM Galaxy hosted 40 lucky contestants to watch the latest movie blockbuster, “Batman V Superman: Dawn Of Justice”, at e-Curve Damansara. My wife and I tagged along for the popcorn. If you have not seen the movie, don’t fret because I will not reveal the ending here, but I will give later my two-cents worth of commentary for the sake of prosperity. Local Runners will know NM Galaxy as the event organiser for local races and fun runs such as Commando Elite Challenge series and the second installment of Super Heroes Race (SHR) to be held on 17th April 2016 in the heart of Kuala Lumpur. Last year, under invitation, I ran 10km at the inaugural Super Heroes Race 2015 in Bukit Jalil, and I had a ball watching the hundreds of smiley kids, families and friends running together, while dressed up in their favourite comic heroes, as well as villains costumes. This year, SHR 2016 promises to deliver more fun and excitement, as Kuala Lumpur city will be the venue where a whopping 5,000 costume Runners are expected to strut their stuff along a 15km, 10km and 3km routes. Normally, I do not post comments on movies, but this latest Hollywood Movie Blockbuster is so different in its plot that it is worthy of some explanation. 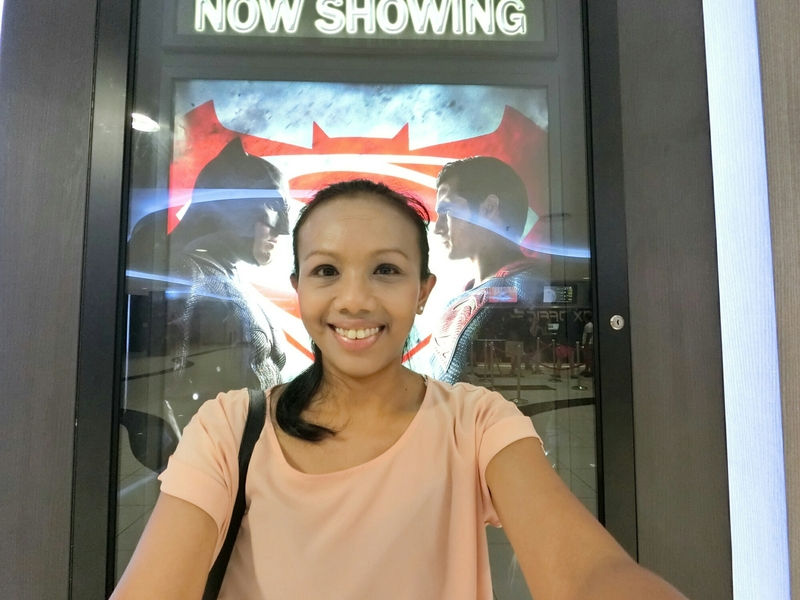 Before watching the movie, I was puzzled by the disappointing movie reviews – some critics belittled the movie plot, while others slammed the movie producers for choosing the famous actor, Ben Afleck to play the role of Batman. On the contrary, after having watched this movie, I found the movie very intriguing and entertaining, but not in the usual, hero-kills-baddies-and-save the world way. To me, Ben Afleck’s pained character stole the show because he really made me feel his suffering and depression as a result of witnessing the double murders of his parents as a teenager. I could see the sadness and anger in the eyes of his Bruce Wayne character. It was acting at the highest level, and this something that I would never expect to say about a cartoon-based character. Yes, Afleck’s presence brought a touch of class and hard-hitting realism to an otherwise predictable fantasy movie. So, for those who are expecting a run-of-the-mill feel-good movie, I suggest you read the comic instead. While watching the movie, it made me realise that you do not need super human powers to be a hero. In fact, it is dangerous to be the all-powerful Superman when there is nobody strong enough to point-out your mistakes. If you help an old lady cross the road, then you are as much of a hero as Superman. 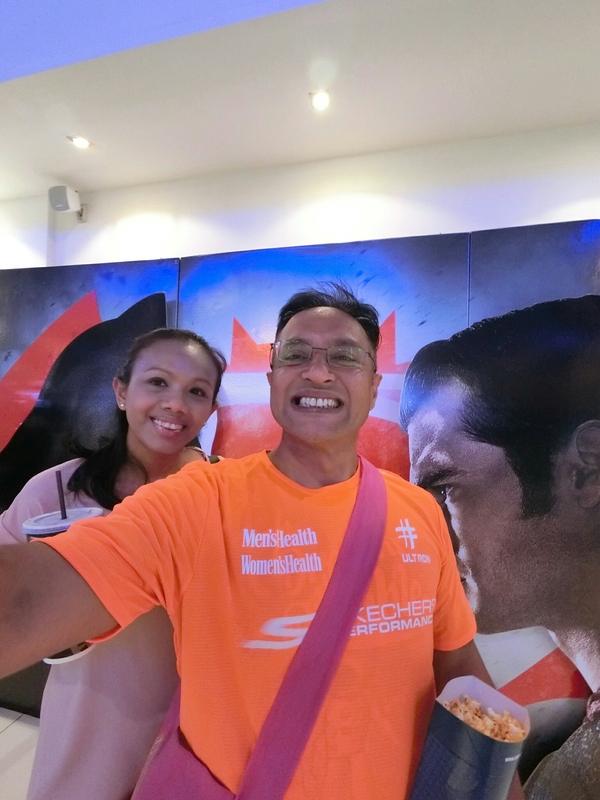 I want to take this opportunity to thank NM Galaxy boss, Muazan Mohsin, and TIXTAC for taking the initiative to engage with the runners and for a fun movie night out. Special thanks to the courteous hostess, Sha, for hosting and shepherding the guests to our couple seats. Not forgetting to thank my wife, Maryati, for waking me up whenever I started nodding-off! To the Super Heroes Runners, I wish you a most enjoyable outing on 17th April 2016 – All you guys are already Heroes in your own special way…TO THE BAT CAVE! Gus is the Founder of Running Toons and a HIIT Fitness Coach. As a sports writer, he has contributed numerous insightful articles to The Star newspaper, Running Malaysia magazine, Cycling Malaysia magazine, Cycling Evolution magazine, Swim Bike Run magazine and more. LIKE Happy Runner and follow gusghani @Instagram. 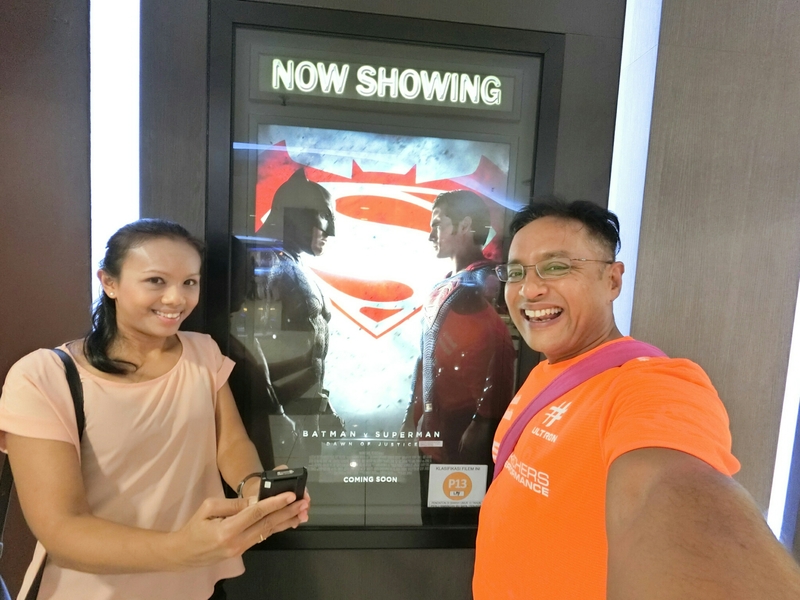 This entry was posted in 10km, 2016, April, Contest, Couple Running, Event Organiser, Fun Run, Happy Runner, Happy Running, Kuala Lumpur, Lifestyle, Movie, Organiser, Runners, Running, Running Event, Running Function and tagged 10km, 15km, 2016, 3km Run, April, Batman V Superman, costume run, Damansara, e-Curve, fun run, Heroes, kuala lumpur, Movie, Party, Running, super heroes Race. Bookmark the permalink.